I’ve been meaning to share this particular beading work with my fellow readers but I only found the pictures from my old PC. This was taken somewhere last year and I wore this purple baju kurung during Hari Raya open house. 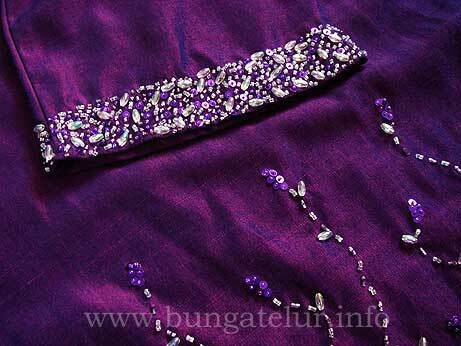 I used manik tabur technique for this particular beading work, using few types of manik jepun – the cylinder shape, the sequin and rice beads to fill up the space faster. It was tedious but the easiest method for newbies in beading. 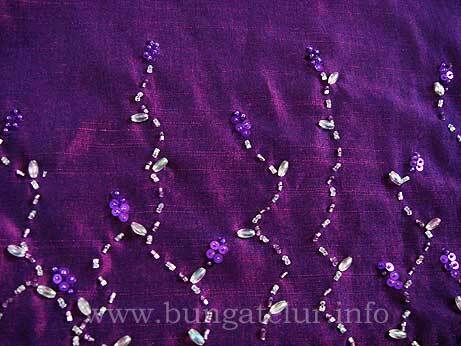 For the design on the baju kurung itself, I sew the beads into a design like flower and leaves. If you find it difficult to sew the manik design freehand, you can use erasable marker and draw the design first. It took me a few days to finally finish all the beading. It looks striking since the baju kurung itself is a plain Thai silk. 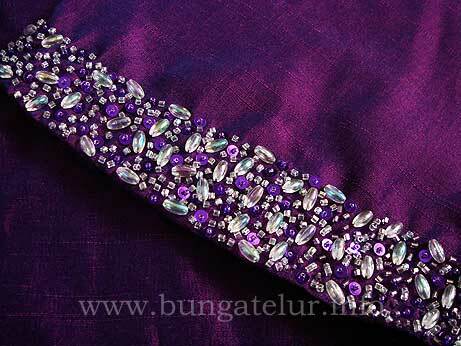 Of course once you have an attire with beads like this you will need to wash it in delicate cycle or wash it by hand.